Bib staff and execs as well as Crown appointed managers. Bib Director General George Entwistle. Bib Trust Chairman Lord Patten. Director of News, Helen Boaden. Bib former Chief John Birt. Ideas, not batles mark the forwar progress of mankind. matrixrevealed.com in archive org: (Click the "impatient" button).http://web.archive.org/web/201102081...xrevealed.com/ Scientology President Heber Jentzsch held prissoner by David Miscavige! Last edited by cybersurf; 01-11-2012 at 07:31 PM. The CAIN Project has been unable to contact the copyright holder of this item. It may be that the copyright of the individual contributions rests with the named authors. If anyone has any information on who currently holds the copyright, please contact the CAIN Director (m.melaugh@ulster.ac.uk). David Elstein: Why can’t we broadcast the truth?
" We have a responsibility ... to provide a rationally based and balanced service of news which will enable adult people to make basic judgements about public policy in their capacity as voting citizens of a democracy... We have to add to this basic supply of news a service of contextual comment which will give understanding as well as information... The morel responsibility of the broadcaster here is not simply to keep the ring open for all opinion, but to see that everybody has a chance to appear in it. " Sir Charles Curran, former BBC Director-General, in a speech to the Edinburgh broadcasting Conference, 1971.
" A journalist shall at all times defend the principle of the freedom of the press and other media in relation to the collection of information and the expression of comment and criticism. He/she shall strive to eliminate distortion, news suppression and censorship. " National Union of Journalists Code of Conduct, Clause 2. ‘It’s got to the stage where we’re being repressed,’ was how Jonathan Dimbleby of the BBC’s ‘World at One’ programme put it. Editors, he said, were now so worried about pressures from above that they tended to approach a story not with the aim of discovering the truth, but in a manner that would ensure that they didn’t get into trouble. Shooting incidents, for instance, were covered merely as events, and little attempt was made to uncover the reasons, if any, that lay behind them. Following The Sunday Times disclosures about ‘ill-treatment’ of detainees, BBC men, Dimbleby said, had been given permission to interview internees, but they were not allowed to interview witnesses such as doctors or priests who might have had evidence which would have corroborated internees’ allegations. He also pointed out that the BBC’s editor of current affairs had to listen to every item on Northern Ireland before it was broadcast, on the specific instructions of the Director-General. ITV communicators had their problems too. The Granada TV men, who had had their programme on the IRA banned without its even having been seen, pointed Out the significance of the recent attempts of Ulster Television to influence the ITA. UTV’s managing director, ‘Brum’ Henderson, was, they pointed out, the brother of Bill Henderson, a public relations officer to the Unionist party and managing director of the Newsletter and had, therefore, a ‘natural anxiety’ about allowing certain programmes to be shown on UTV. UTV had indeed, ‘opted out’ of several programmes on Northern Ireland which had been networked throughout the rest of Britain. Another important point about censorship, according to John O’Callaghan of the Guardian, was that if, as seemed quite possible, the Republican movement was defeated, then censorship would be seen by the Government as an important instrument in that defeat and, therefore, a powerful argument for an increase in its use in Britain.
" Those who have access, anywhere, at any time, to our media, should be pressing to ensure that in those media Northern Ireland is put in context, the events are explained, the possible future analysed. Otherwise we will continue to deny the British public the kind of information it need on which to form a judgement about the most important political issue that any government has had to face. " Jonathan Dimbleby, Thames Television reporter, speaking at the inaugural public meeting of the Campaign for Free Speech on Ireland, March13 1977. THE BBC AND NORTHERN IRELANDBritish broadcasting has, in general, failed to give much more than a one-dimensional picture of the current conflict in Northern Ireland. The ‘story’ from the Province has been preeminently about violence, about terror, bombs, and death. In recent years even these staples of news coverage have failed to secure any sustained attention. Broadcast news, and most current affairs coverage, has lacked historical depth, and has failed to give an airing to the roots of the crisis there. Such an approach is largely shared by the rest of the British media, and contributes to the dominant public view of Northern Ireland’s present troubles as largely incomprehensible and irrational. How has this kind of approach to broadcast news come about? It is certainly not particularly helpful to look for overt acts of censorship by the State. Nor will conspiracy theories be of much assistance. In brief, the State, through its spokespeople has laid down the limits of the permissible, and the broadcasting organisations have responded preeminently through a tightening of their editorial controls. It is especially worth considering what happened in 1971 and 1972 because those were crucial years which have had an enduring impact on the BBC’s approach. In 1971, Christopher Chataway, then Minister accountable to Parliament for broadcasting, made a significant speech. He said that broadcasters were not required to strike an even balance between the IRA and the Stormont government, or between the army and the ‘terrorists’. He reminded broadcasters that they stood within the consensus ‘of the values and the objectives of the society they are there to serve’. This speech was, in effect, a warning to the BBC that the Corporation could not be impartial in reporting Northern Ireland. Lord Hill, the BBC’s Chairman, replied by assuring Reginald Maudling, then Home Secretary, that ‘as between the British Army and the gunmen the BBC is not and cannot be impartial’. By this time the BBC was already operating a system of special formal controls concerning Northern Ireland which are still in force today. All decisions were then being vetted through the ‘reference upwards’ system — as they are now. This system means that programme ideas cannot be put into effect by the reporters who think them up. Rather, they are scrutinised in turn by the programme editor, the departmental editor, the Controller Northern Ireland, the news and current affairs supremo, and even, on occasion by the BBC’s director-general himself. The effect of these controls has been inhibiting, and continues to be so. It has resulted in a cautious ‘factual’ approach to coverage and a wholesale absence of investigative journalism because journalists are unwilling to pursue controversial topics, and tend to engage in self-censorship. Early on, therefore, the BBC had accommodated itself to the demands of the state: the system of internal controls meant that the Corporation could be accused of editorial toughness, but not of outright censorship — an important difference. However, it is important to realise that the Corporation is not in any sense just a transmission belt for government policy. It has its own institutional needs, preeminent among which is the maintenance of its credibility as an ‘independent’ national institution. But in late 1971, the BBC’s legitimacy came under serious challenge when the government came perilously close to open censorship, backing away only at the last minute. This occurred over a programme called The Question of Ulster in which the BBC wanted to present a range of relevant views on the Northern Ireland crisis. The framework of the programme was to be a quasi-judicial ‘hearing’ presided over by Lord Devlin. Maudling and Brian Faulkner tried to veto the programme by refusing to participate, and BBC executives have testified that a ministerial ban was quite narrowly avoided. 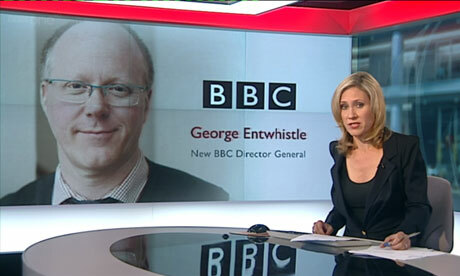 The BBC persisted and the programme was transmitted. For the BBC this refusal to knuckle under has had great symbolic importance. The Corporation has presented its resistance over The Question of Ulster as typical of its independence. In fact this view is misleading because it obscures the long-term effect of tighter internal controls — namely, anodyne coverage. It is true that the BBC has subsequently endured governmental displeasure over, for example, its insistence on reporting a particular case of police brutality in 1977. But such incidents are rare. They suffice to support the view that the BBC is actually fully independent, whereas it is actually very constrained. There is room for manoeuvre, and for occasional acts of defiance, but the Corporation has to tread carefully. Over the years, the BBC has evolved what might be called a ‘public order’ broadcasting policy on Northern Ireland. This consists of three important elements. First, there is general support for the British Army and the RUC and their role in law-enforcement in the Province. Second, there is a negative evaluation of extremism and terrorism, and of the IRA in particular, which is presented as the principal enemy. Lastly, there is a view of the need for ‘responsible’ coverage of the Troubles, which requires especial sensitivity to criticisms of the supposedly inflammatory effects of broadcasting (a view continually pushed by Roy Mason). 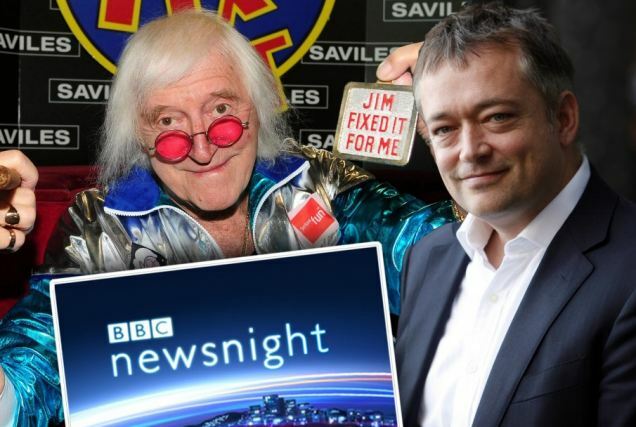 ‘Responsibility’ of this kind, with its awareness of the public image of the state and its in-built fear of criticism, is, when coupled with the dead hand of tighter editorial control, enough to ensure that the BBC stays within safe limits. Yet the fact that British broadcasting is not censored by the State, and that broadcasting policy is developed by broadcasters themselves, does mean that tensions persist. This came out clearly in 1977 when Richard Francis, now the BBC’s Director, News and Current Affairs, caused some controversy by arguing that given the confusion in official viewpoints it was best for the BBC to try and function as a ‘fourth estate’. However, his argument for a greater autonomy still operated within Hill’s acceptance of non-impartiality. A major difference between the BBC and commercial broadcasting is the way the Corporation’s unitary editorial system has allowed less obtrusive methods of control. The IBA’s federal structure, by contrast, has meant that the Authority has been seen to intervene decisively on several occasions, when programmes have been banned. It has been easier to argue that this kind of intervention has constituted censorship, although it has generally been publicly sold quite successfully as ‘responsible’ action. There is little reason, at present, to suppose that the BBC or the IBA will become more autonomous, or, alternatively, that the State will need to crack down harder on the broadcasters—provided that they stay within their present limits. July PANORAMA BBCThe programme contained some ‘vox pop’ interviews with the relatives of six people killed in Belfast, including ‘a widow crying out for vengeance for her dead husband, shot by terrorists’ (according to Anthony Smith, in the article Television Coverage of Northern Ireland, Index, vol. 1 no. 2, 1972). Whilst it was transmitted to mainland Britain, BBC Northern Ireland ‘opted out’, on the grounds that the programme was inflammatory, and could lead to further bloodshed. This was the first such ‘opting out’. 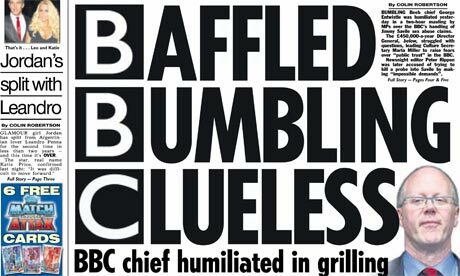 In the period when Hugh Carlton Greene was Director-General, it was decreed that as far as possible the content of the BBC’s programmes should be identical in Britain and Northern Ireland. Technically however the Controller of BBC Northern Ireland could insist on being told details of every programme project dealing with Ireland, North and South. The effect of the BBC’s policy to make its networked programmes on the ‘Troubles’ acceptable in Northern Ireland was inevitably to inhibit coverage. February 24 HOURS BBCA film about the Ulster Unionist Party’s increasing disenchantment with Major Chichester-Clark, Prime-Minister of Northern Ireland. Condemnation of Chichester-Clark, and the extent of sympathies with Ian Paisley were both shown to be widespread in party meetings which were filmed. The programme indicated the possibility of Chichester-Clark’s resignation. 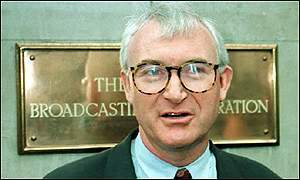 The BBC Northern Ireland Controller, Waldo Maguire, wanted ‘moderate’ opinion represented. The addition of an interview with a ‘moderate’ confirming the programme’s findings did not overcome objections. When the predicted resignation took place, the programme became superfluous, and was never shown. November WORLD IN ACTION - SOUTH OF THE BORDER GranadaGranada wanted to do a programme to show how the ‘Troubles’ in the North were building up political pressures in Southern Ireland. Granada had already had some brushes with the ITA (which became the IBA when radio was added to its brief) on account of its investigative series WORLD IN ACTION. Additionally the ITA had been scrutinising both WORLD IN ACTION and THIS WEEK (Thames), in order to pass them fit for screening in Northern Ireland, since 1969. Only two earlier WORLD IN ACTIONs on Northern Ireland of a number made had been carried by the local station Ulster Television, despite the ITA’s own ruling that the series was mandatory, i.e. all ITV companies were obliged to screen it. ITA staff were therefore consulted, when Granada began filming for the programme. The starting point was provided by the October Sinn Fein Convention in Dublin, at which Sean MacStiofain (Chief of Staff of the Provisional IRA) and Rory O’Brady (President of Provisional Sinn Fein) both spoke. To balance this footage space was to be given to interviews with Dublin politicians, who were hostile to the IRA: However the Authority (comprising lay members, and the body, set up by the Television Act, to regulate ITV) decided that the programme was unsuitable for transmission - although it was still in the form of rushes, and no member of the Authority viewed them, and despite the ITA’s own staff supporting the programme. Reportedly Brum Henderson, Managing Director of Ulster TV, had previously ‘informed the ITA that the showing of such a programme anywhere in the UK would be deplorable in that it would simply give publicity to IRA extremists’ (Anthony Smith, Index, ibidem). Lord Aylestone, Chairman of the ITA, apparently felt it was ‘aiding and abetting the enemy’. On its own initiative Granada went ahead and completed the programme. This time the ITA did see the programme, but confirmed the ban on transmission, deciding that it lacked balance. No members of the Dublin, London, or Belfast governments took part, but in any event the Dublin government refused to share programmes with the IRA. Criticism of the IRA was provided by Opposition members at Dublin, namely Conor Cruise O’Brien, and Garret Fitzgerald. There was some speculation that the real reason behind the ITA’s banning was not the IRA’s participation, but Garret Fitzgerald’s assertion within the film that the British Army’s tactics in Northern Ireland had contributed to the deterioration of the political situation, a trap planned by the Provisionals. A precedent was thus established for the ITA to interfere editorially in the content of programmes. Increasingly too, contrary to previous practice, the ITA were becoming cautious that ITV programmes about Northern Ireland should be passed fit for screening on the entire network, including Ulster TV (compare the BBC). November 24 HOURS BBCThe BBC had filmed a number of statements by ex-internees about their treatment at the hands of the (British) Army during detention. Interviewees included Patrick Shivers (who later successfully claimed damages from the Northern Ireland Ministry of Home Affairs and the Ministry of Defence), and Tony Rosato (a case mentioned by the Sunday Times, 17 Oct., the first English newspaper to carry allegations of torture, although the Irish press had printed reports since August, when internment commenced). Despite the mounting evidence in the press, the BBC delayed screening the films until after the publication of the report of the Committee of Inquiry headed by Sir Edmund Compton, the Northern Ireland Ombudsman (announced on 31 August). The films were balanced by a discussion between Conservative M.P. Antony Buck, and Roy Hattersley, the former Minister of Defence in the Labour Government that had sent British troops to Northern Ireland. January THE QUESTION OF ULSTER BBCIn November 1971 Conservative backbenchers had vociferously attacked TV coverage of events in Northern Ireland, particularly the BBC’s. Both Lord Hill, Chairman of the BBC’s Board of Governors, and Lord Aylestone, Chairman of the ITA, had been summoned on separate occasions to meet with Reginald Maudling, Conservative Government Home Secretary (and technically responsible for broadcasting) to discuss complaints. It was in this climate that the news leaked out that the BBC were preparing a ‘tribunal’ (a deliberately pejorative term employed by the BBC’s critics) on the problems of Northern Ireland. Lord Hill and Charles Curran (BBC Director General) met Maudling on 13th December in order to persuade him of the programme’s value. The intention of the programme was to draw out the different views of the Northern Ireland situation ‘from a wide spectrum of Irish views’. The views of the Government and Opposition were to be pre-recorded, and other participants would give their views ‘live’. Maudling refused Government co-operation point-blank, on the grounds that seven of the eight Irish participants were known to be opposed to internment, and that the BBC should not set itself up as a Court of Inquiry. Brian Faulkner, Northern Ireland Prime-Minister, phoned Hill and Curran directly to ask the BBC to abandon the programme. It seemed as if the BBC would succumb to pressure and postpone the so-called ‘trial by television’ in order to re-think the format, since crucially no member of the Stormont Government would take part. As news of the postponement broke, an anonymous document circulated within the BBC claiming that programme-makers were ‘meeting increasing pressure to hold back or censor news and current affairs items from Northern Ireland.... Pressure comes from Heads of departments in BBC Northern Ireland and England, who now openly act as censors’. However the programme was saved by the willingness of Ulster Unionist MP at Westminster, Jack Maginnis, to appear, and the BBC pressed ahead with its intended transmission on 5th January. In an open letter to Lord Hill on the day of transmission Maudling wrote ‘I believe that this programme in the form in which it has been devised, can do no good, and could do serious harm’. Previously Robin Day had withdrawn because he considered the programme unbalanced, Ludovic Kennedy took his place as chairman. Lord Devlin, who appeared on condition that internment wasn’t discussed, headed the panel of inquiry, which included Lord Caradon and Sir John Foster. The Labour Opposition’s views were represented by a specially pre-recorded statement from Harold Wilson. In order to present Conservative Government and Unionist Government views, a pre-Christmas interview with Maudling, and an extract from a speech by Faulkner was used. ‘Live’ contributions came from Bernadette Devlin, Gerry Fitt, Jack Maginnis, and Ian Paisley amongst others. Lord Caradon summed up by saying ‘We may have been dull, but I don’t think we have been dangerous’, a view generally shared by the press the next day. Milton Schulman wrote (Evening Standard, 6 Jan. 1972) ‘The idea that Lord Hill and Charles Curran and the present set of BBC governors would deliberately be parties to any telly event that might inadvertently inflame or exacerbate the unrest in Ulster is as ludicrous as the prospect of the Archbishop of Canterbury insisting that Anglican services be held in strip-tease clubs. Under its present hierarchy, the BBC has relentlessly pursued a cautious, timorous neutered approach to politics and current affairs’. When subsequent talks between Maudling and the SDLP failed to take place, Maudling blamed the programme for having encouraged the SDLP to harden their attitudes. February THIS WEEK - AFTERMATH OF BLOODY SUNDAY Thames(also titled BLOODY SUNDAY - TWO SIDES OF THE STORY)Thames had been preparing a programme to piece together the story of the shootings of 13 civilians by British paratroopers in Derry on 30th January, interviewing witnesses who had been on the streets, and soldiers, when a judicial inquiry was announced, headed by Lord Widgery. Technically anything which anticipated the tribunal’s findings could be in contempt, as the Press Office at 10 Downing Street were quick to warn both press and television, seeking a blanket ban on coverage. The IBA were consulted, and Thames’s lawyers, who felt the risk should not be taken, despite the fact that there was no precedent for prosecution. Indeed the lawyers apparently thought that the very selection of evidence presented by editing the filmed interviews could in itself be prejudicial. Thames eventually compromised by showing a complete unedited role (400ft. of 16mm) of a filmed interview with a ‘neutral’ eyewitness, a Welsh ex-warrant officer, who lived in the immediate area of the shootings. This was balanced by a complete roll of accounts by Scottish Paratrooper NCOs of the 1st Paratroop Battalion. Although the latter contradicted one another, more damaging material was left out in the 20 or so rolls shot by two crews that were not used, including interviews with Catholic Bogsiders. The programme was transmitted on 3rd February. Later a Paratroop Lieutenant admitted to the Widgery Tribunal that his statement in the televised programme that he had seen a gunman was a lie. October CARSON COUNTRY (Play for Today) BBCThe BBC finally transmitted Dominic Behan’s play about ‘the origin of the Stormont state’ on 23rd October, having postponed it from May ‘to avoid provoking possible trouble during the marching season’(Evening Standard, 11 May 1972). David Attenborough, controller of TV programmes, and Waldo Maguire, BBC Controller, Northern Ireland had both viewed the play, and apparently, despite liking what they saw, decided ‘the wise course would be to wait for a less awkward time before screening it’. October THE FOLK SINGER (Armchair Theatre) ThamesThe IBA asked to view this play by Dominic Behan before its proposed transmission on 7th November. The plot concerned a folk-singer from Liverpool, who plays in Belfast, and shocked by what he finds, tries ineffectually to heal divisions. Thames chose to screen the play, even after permission had been granted, at 10.30pm, instead of Armchair Theatre’s usual 9 o’clock slot. Behan is reported to have said, ‘For God’s sake, let’s get the subject aired - even through drama. Too many things are swept under the carpet.’(Daily Express, 6 October 1972). November A SENSE OF LOSSThe extent of the BBC’s involvement in this Marcel Ophuls film is unclear, although it was probably limited to some financial assistance, in the wake of their screening of Ophul’s THE SORROW AND THE PITY which was subsequently much acclaimed. Shot over six weeks in December 1971, and January 1972, the film consisted of interviews with Protestants, Catholics, politicians, and some soldiers, combined with TV news clips of bombings and violence. The deaths of four individuals formed the central focus of the film, which Ophuls described as ‘an old, middle-aged, humanistic, social-democratic attempt to give people an idea that life after all is not that cheap’. The BBC refused to transmit the completed film on the grounds that it was ‘too pro-Irish’ (Sunday Times, 5 Nov. 1972). Undoubtedly the fact that the film gave expression to a wide range of opinion from the Catholic minority (excluding the IRA) influenced the BBC’s decision. Since the tightening of editorial control over the BBC’s current affairs programmes, interviews with Catholics had become rare, since they were automatically equated supporters of the IRA. February HANG OUT YOUR BRIGHTEST COLOURS: THE LIFE AND DEATH OF MICHAEL COLLINS ATVATV commissioned Kenneth Griffith to make a historical film in the vivid story-telling style he had successfully adopted in his BBC film on Cecil Rhodes. He chose as his subject IRA leader Michael Collins, who was part of the Irish delegation which signed the Treaty with Britain, creating the Irish Free State and the partition of Ireland, and who was subsequently killed in the Irish Civil War in 1922. The film freely castigated Lloyd George, the British Prime-Minister, for the Partition of Ireland, Winston Churchill, Secretary of State for the Colonies, and Eamon de Valera, President of Sinn Fein. A three man committee of the IBA viewed the film, and called for a detailed script, but apparently made no further comment. Sir Lew Grade, ATV’s Managing Director, then began investigating the film, the first interest he’d shown, although a shooting script had been available since before location filming in Ireland in May 1972. Grade banned the documentary - ‘In view of the delicate political and military situation in Northern Ireland, I have decided that this is not the time for such a film to be shown in the UK, and accordingly this company is not offering it for transmission’. An IBA spokesman insisted, ‘At no point have we asked for its withdrawal. Sir Lew Grade made the decision on his own initiative’ (Sunday Times, 4 Feb. 1973), although the part played by the IBA in the decision was revealed later, when Griffith took out a legal action against Grade. ATV were reported as saying that ‘the film would be shown when the Ulster situation improved’ (Times, 5 February 1973). It has never been shown, and any viewing has to be authorised by the present Managing Director of ATV, Lord Windlesham (former Northern Ireland Minister of State in the Conservative Government). November NEWSPEAK Bristol Channel (Cable Television station)The Home Office through its Broadcasting Department had inherited the regulation of the five cable television experiments, e.g. outline programme schedules had to be submitted to the department at least two weeks in advance. Newspeak was a local news magazine programme. On 29 November the programme had started, when a ban came through from the Home Office on an interview with Adrian Gallagher, the South-West organiser of Clan na hEireann (the equivalent of Official Sinn Fein). Gallagher was to discuss the Birmingham bombings. In the House of Commons the Prevention of Terrorism Act was being passed, which made the IRA an illegal organisation, but not Sinn Fein, the political wing of the IRA. Since the passing of the Act, Roy Jenkins, the Home Secretary declared in the House of Commons that TV interviews with the IRA would be ‘wholly inappropriate’. May THIS WEEK - HANDS ACROSS THE SEA ThamesThames planned to transmit an investigation into the raising of funds for the IRA in America on 1st May to coincide with the elections for the Northern Ireland Convention. The IBA refused to allow the programme to be transmitted on the grounds that ‘the subject matter could have an unfortunate impact on opinions and emotions’ in Northern Ireland, despite the fact that the programme was to be shown at 8.30pm, half-an-hour after the polls had closed. The Thames ACTT union shop were rumoured to be contemplating blacking the substitute programme. A caption however was displayed before the screening of the substitute, stating that the original had been postponed at the request of the IBA, and would be shown a week later, which it subsequently was. March ARTICLE 5 BBCA play commissioned by the BBC from Brian Phelan about three mercenaries/torturers, who are hired through an agency by an English businessman to protect his interests in an unspecified country. The nature of their work was brought home to the businessman by the torturing of his secretary. The play’s title came from the relevant section of the Universal Declaration of Human Rights, which states ‘No-one shall be subjected to torture, or cruel inhuman treatment, or punishment.’ It was written with the assistance of Amnesty International, and was recorded in January 1975. Aubrey Singer, then Controller of BBC2, for whose channel it was intended, having viewed the play in May/June 1975 said that ‘it would not be allowed to be shown.’ The play’s director, producer, and Phelan later that year met Christopher Morahan, the BBC’s Head of Plays. ‘It was put to me that if we made certain alterations, it would be more acceptable,’ said Phelan (Guardian, 5 May 1976). In March 1976 Singer wrote Phelan a letter saying ‘The play would have caused such offence to viewers that its impact would have been dulled and its message negated.’ The message of the play was anti the use of torture. Northern Ireland was referred to once in the play in passing, as an illustration of the use of torture by governments. Shaun Sutton, BBC Head of Drama, at the Symposium on Broadcasting at Manchester in February 1977 dismissed the work as a ‘bad play’. The ICA staged the play in May 1976, as did the Project Theatre in Dublin in October 1976. 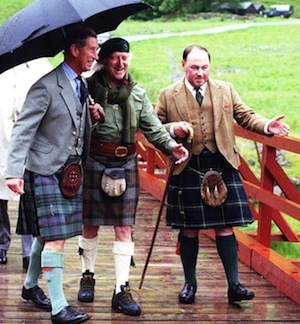 October THE SCOTTISH CONNECTION BBC ScotlandA local documentary, not primarily intended for networking, which traced the cultural and political links between the respective Catholic and Protestant factions in Scotland and Northern Ireland. The BBC Northern Ireland Controller insisted that an interview with a Provisional IRA man be dropped. As was usual with IRA interviews it was referred upward to Director-General Charles Curran, who confirmed the dropping of the interview. When the documentary was transmitted on 23rd October, a subsequent statement to be appended was omitted, which read ‘We cannot show an interview with a spokesman from the Provisional IRA. The BBC’s policy is not to interview them. Members of the UDA are, however, not subject to this restriction.’ The programme went out in the same cut form on the network on 5 February 1977. The UDA, unlike the IRA, is not an illegal organisation in Britain. Interviews with UDA members were broadcast by the BBC at the discretion of the Director-General or a programme controller. The UK Press Gazette (25 October 1976) in the week that the programme was transmitted in Scotland reported that Alistair Hetherington, BBC Scotland Controller, in a speech had deplored ‘the sanitisation’ of TV news on Northern Ireland as the ‘worst unreality’ on television. February EIGHTEEN MONTHS TO BALCOMBE ST. London WeekendA drama-documentary reconstruction of the events leading up to the six-day siege at Balcombe St. ShaneConnaughton, the writer, asked for his name to be withdrawn from the credits. He explained ‘I wanted to explain why the bombers were there. But the English are not interested. They just don’t want to know. I thought the programme could achieve some good - especially since Irish news is so heavily censored in England’ (Irish Post, 26 Feb. 1977). As Richard Last wrote, ‘Far from "glamourising" the IRA, as some feared when the project was announced, London Weekend’s EIGHTEEN MONTHS TO BALCOMBE ST (ITV) presented the London bombers as archetypal thick Micks, leading lives in which violence provided the only relief from stupefying boredom’ (Daily Telegraph, 22 Feb. 1977), or Philip Purser, ‘The first impression, I suppose, was of the sheer incompetence of the four terrorists, worthy contenders all, for starring roles in Thick Irish jokes’ (Sunday Telegraph, 27 Feb. 1977). MAN ALIVE - A STREET IN BELFAST BBC (also known as SHORT STRAND)A film about Short Strand, a small Catholic enclave in an overwhelmingly Protestant area of Belfast. It focussed on the daily lives of three Catholic families. Erik Durschmidt, a freelance film-maker, who had covered the Northern Ireland situation for some considerable time, shot the original footage for the film in 1975, and returned in 1977. The film was commissioned for the MAN ALIVE slot, but has never been shown. ‘The BBC claimed that possibly unbeknown to Durschmidt two of the three families were prominent IRA activists (which was) not made clear in the film (and was therefore) misleading’(Edinburgh International TV Festival brochure 1978, p. 54). Since Durschmidt himself in the commentary pointed out that a husband of one of the women featured in the film was a member of the IRA, killed in a shoot-out with the British Army in 1971, the BBC claim must be counted dubious. August THIS WEEK - IN FRIENDSHIP AND FORGIVENESS ThamesThe programme was made on the occasion of the Queen’s Jubilee visit to Northern Ireland (10th and 11th August). It was intended to counter the pervasive media picture of a trouble spot now at peace, an impression fostered by for example ITN’s 5.45 News presented direct from a Belfast public building’s rooftop during the visit. The programme was banned 2 minutes before transmission on 17th August. After some small alterations it was finally transmitted on 26th-27th August at a variety of times in the various ITV regions. (see Peter Taylor, Reporting Northern Ireland). September THIS WEEK - LIFE BEHIND THE WIRE ThamesThe programme Thames originally intended to make, at the time of the Jubilee visit, on prison conditions in Northern Ireland and the claims by prisoners for special category status. As was normal practice, the programme was submitted to the IBA who had no objections, and it was transmitted on 22nd September. The Secretary of the Northern Ireland Prison Officers’ Association, who was interviewed in the film, was killed by the Provisional IRA 10 days later, and the programme was blamed. (see Peter Taylor, ibidem). October THIS WEEK - INHUMAN AND DEGRADING TREATMENT ThamesAn investigation into the alleged ill-treatment of suspects by the RUC at Castlereagh. The RUC refused co-operation, and it seemed as if the programme would have to be dropped, since the IBA desired the programme to be balanced. The RUC were offered alternative methods of presentation of their case, and chose to provide a (5 minute) editorial statement to camera by the Chief Constable. Reluctantly Thames accepted, and a precedent had been set for public bodies to be represented in programmes that were critical of them, a growing trend. The programme was transmitted on 27th October. (see Peter Taylor, ibidem). February THE ORANGE, THE GREEN, AND THE RED, WHITE, AND BLUE ThamesDavid Elstein (editor of THIS WEEK) and Peter Taylor (THIS WEEK reporter) offered to Thames a project on Ireland, and British involvement, intended to give some historical perspective. The project was in three parts and was to mix documentary with dramatised episodes from Ireland’s past. Thames turned the project down, possibly because the management were acutely aware of tackling a subject likely to bring them into conflict with the IBA, during the period when the IBA was renewing the contracts of ITV companies. Elstein offered it to the BBC, who also turned it down. May WEEKEND WORLD London WeekendA programme assessing the current strength of the Provisional IRA. As David Cox, the editor of WEEKEND WORLD, stated in LOOK HERE (transmitted 8th July), ‘After we had started filming, there was a full meeting of the IBA authority, and at the end of that afternoon we got a phone call telling us that the whole programme had to be scrapped because the authority felt that a programme about the Provisional IRA wasn’t appropriate at that time.’ The production team still went ahead (although dropping a film of IRA training sessions and a mooted interview with IRA leader David O’Connell on ‘editorial grounds’). The authority again banned the newly completed film since ‘it didn’t give a complete picture of the affairs of Northern Ireland as a whole’. Lady Plowden (Chairman of the Authority) eventually decided to allow the programme to be transmitted on 21st May, 3 weeks after its original planned transmission. May THE CITY ON THE BORDER and THE IRISH WAY - A BRIDGE OF SORTS BBCTHE CITY ON THE BORDER was intended as a preface to the 7 part series THE IRISH WAY, and concentrated on daily life in Derry in the April week, including aspects of the British Army’s presence. Colin Thomas (a BBC director of 16 years’ standing and one of the film’s 3 directors) had already had some doubts about the way the film had turned out, when he learnt that 2 sequences were to be cut out. The programme was transmitted in its cut form on 31st May. One of the two films Thomas had directed in THE IRISH WAY series, A BRIDGE OF SORTS, had in the meantime been referred to BBC Northern Ireland, who had decided that the film and commentary had to be substantially changed before it could be transmitted. Thomas refused to make the changes and resigned. The film was transmitted with changes under a new title A ROCK IN THE ROAD. (see extracts from Colin Thomas, Blowing my Cover). June THIS WEEK - THE AMNESTY REPORT ThamesThames planned to transmit on 8th June a programme about the Amnesty report on the ill-treatment of suspects by the RUC, which had already been widely leaked. It was to be a mixture of filmed reports and studio discussion. The IBA banned the programme. Subsequently the local ACTT union shop blacked the screening of a substitute programme, perhaps the first real case of industrial action being taken in the broadcasting industry against a programme ban. Jeremy Isaacs, Director of Programmes at Thames, allowed the BBC’s NATIONWIDE to show extracts from the shot film on 9th June. (see Peter Taylor, ibidem). August THE LEGION HALL BOMBING (Play for Today) BBCA play based on the trial transcripts of the case of Willie Gallagher, sentenced to 12 years gaol for bombing the British Legion Hall in Strabane in 1976. The play showed the operation of the Diplock Court system, and was scheduled for transmission on 23rd February, and was repeatedly postponed. The BBC insisted that the original voice-over commentary introducing the play should be changed, since it ‘editorialised’. This had been written, along with an epilogue, to lead into a discussion programme that was to follow the play. This discussion was dropped. The BBC amended for instance, ‘They (the Diplock committee) therefore recommended a different kind of trial for political of fences, which was adopted under the Northern Ireland Emergency Provisions Act 1973. There is no jury. The judge sits alone. And the rules of evidence have been altered so that a confession is allowed as evidence even if it was obtained by threats of force.’ The altered version read, ‘The Diplock Commission recommended a modified form of trial for terrorist offences which was adopted under an Act of Parliament passed in Westminster in 1973. Under this Act a Judge may admit as evidence a confession obtained under intense interrogation. There is no Jury. The judge sits alone.’ The play’s epilogue was completely cut: ‘The Diplock Courts were set up to make it easier to get convictions, and they have been successful. Recent research at Queen’s University, Belfast, shows that the rate of acquittals in these courts has dropped steadily each year. If courts can accept signed statements put forward by the police with no corroborative evidence and reject the evidence of a defence witness without explanation it is reasonable to ask whether it is worth while for the defence to put a case at all. The courts have a tradition of independence but at the same time they carry out the will of Parliament. In peaceful times the role of the courts is generally accepted. In times of stress their role may change.’ The Society for Defence of Literature and the Arts accused the BBC of a ‘new and sinister form of Orwellian censorship; the perversion of art to serve the purpose of political orthodoxy.’ The play was eventually transmitted in its amended form, and with the credits of the director, Roland Joffé, and the writer, Caryl Churchill removed (at their own request) on 22nd August at the late time of 10.25. Play for Today was usually transmitted at 9.25. (see the interview with Roland Joffé).